After the panel shows up you can either type the shortcut or click the item in the panel to the command. 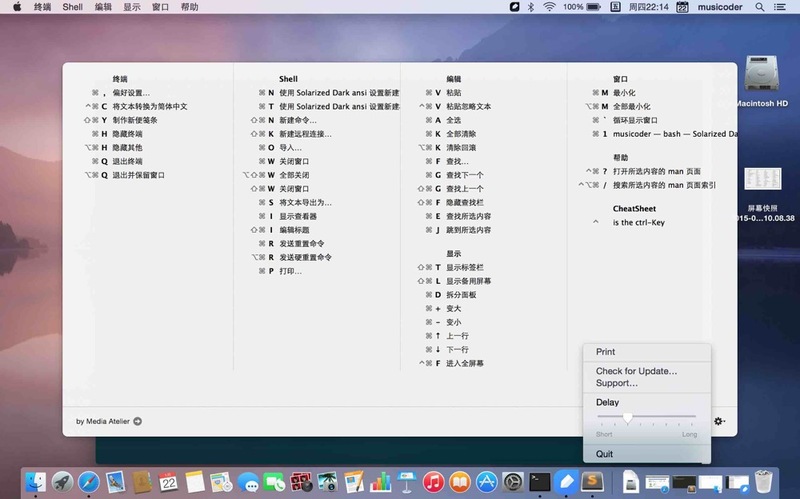 CheatSheet has no further user interface and wont appear in the Dock. You can quit the application in the action menu on the bottom right corner of the panel. If you like to uninstall it, remove it from your applications folder after terminating it.